Any Article purchased can be exchanged within 30 days of purchase from store or receipt by courier. If the article is not used, all tags are intact, packing is in its original condition and you have original invoice with you, then you are good to go ahead with the exchange. Articles purchased on discount are not qualified for exchange though. We don’t offer cash refund instead you will be issued a coupon of same value valid for Online Store ONLY, which you can use to buy now or in future. Jewelry, Formal outfits, Loose fabric cannot be exchanged. In case of home article return, it should be in Sapphire’s original home packing. 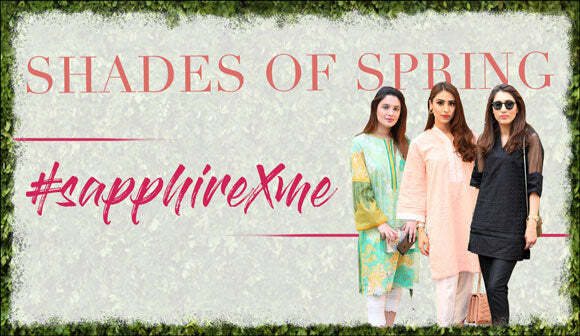 As another option, you can contact our customer service department by emailing us at wecare@sapphireonline.pk or you can call us at +92 (042) 111-738-245. Provide all the required information to our friendly representative and if all the conditions met we will schedule the pick-up from your doorstep. You may cancel your order at any time before the order has been processed. Once the order has been shipped, you will receive a shipping confirmation via email that will contain the tracking information. As soon as the product has been shipped, our exchange policy will be applicable. Sapphire has the authority to cancel orders for reasons such as; the item is out of stock, pricing errors, or the credit card payment declined by the issuing financial institution. .